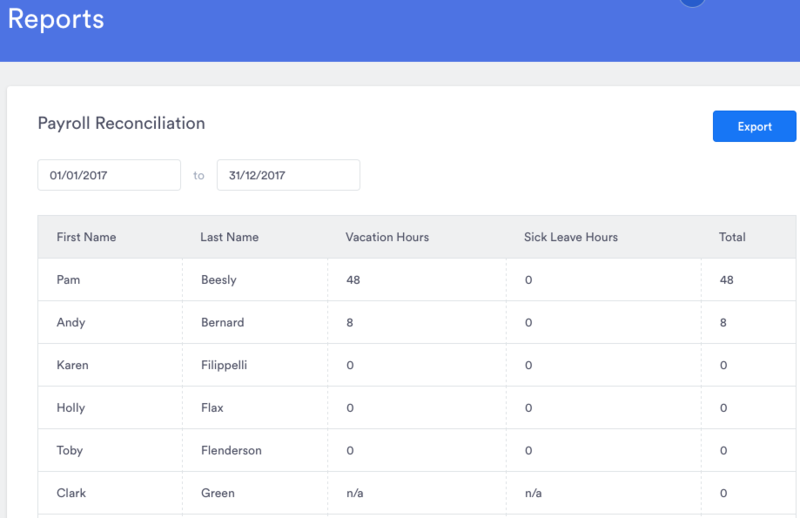 Use the Time Off - Payroll Reconciliation report to view the exact number of hours taken off for the selected time range. Match the time range to your pay period and click "Apply". This will display the number of hours taken off for type of time off available. You can then use the numbers in this report to update payroll. If an employee took time off that spanned over your payroll period, only the hours taken within the time range specified will be included.